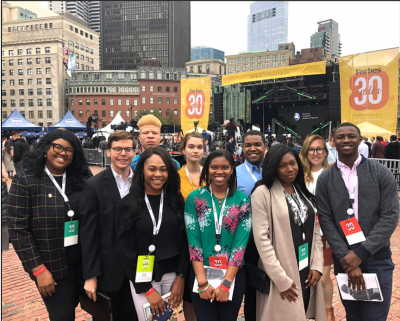 Left to right: Alexandria Maloney-Cornell CIPA; Grant Thompson-Cornell CRP; Kristen Collins-Cornell CRP; Chinedu Nwokeafor-Morgan State University; Melissa Brown-Cornell CIPA; Tibra Wheeler-Cornell BME; Cyril Herron-Cornell Law; Sharnice Rollins-University of Central Florida; Molly Conlin-Cornell CIPA; Elgin Ford, Jr.- Cornell CIPA. 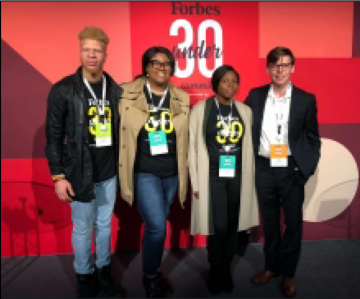 This year a number of current and alumni Cornell graduate students were selected as Forbes Scholars to attend the Forbes Under 30 Summit in Boston, MA from September 30-October 3, 2018. This summit brought together more than 7,000 young entrepreneurs, visionaries, and social innovators for an immersive experience featuring more than 200 world-class speakers including investors, celebrities, musicians, sports stars, cultural icons, political and business leaders. 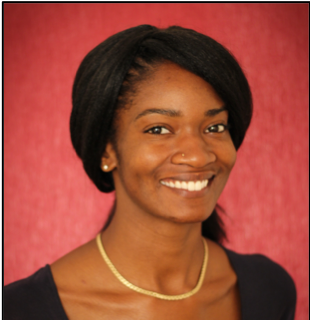 “So many inspiring leaders sharing invaluable experiences – this summit was unforgettable.” says Ph.D. student Tibra Wheeler. Cornell student attendees represented a wide variety of interest areas including social entrepreneurship, science, technology, environmental policy, impact investment, law, and public policy. 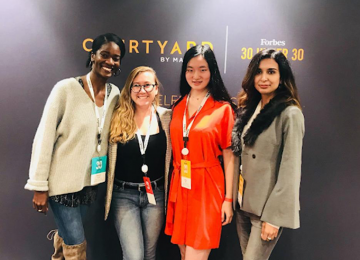 Left to right: Brettany Tucker, 2018 CIPA alumna; Molly Conlin, 2nd year CIPA fellow; Eleanor Wen, 2nd year CIPA fellow; Elaha Mahboob, 2nd year CIPA student. Left to right: Chinedu Nwokeafor, Alexandria Maloney, Sharnice Rollins, Grant Thompson. 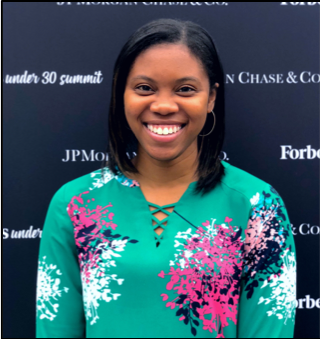 CIPA student Alexandria Maloney led the semifinalist team at the 2018 Forbes & JPMorgan Chase Social Innovation Hackathon with teammates Chinedu Nwokeafor, Sharnice Rollins, and Grant Thompson (Cornell-CRP). 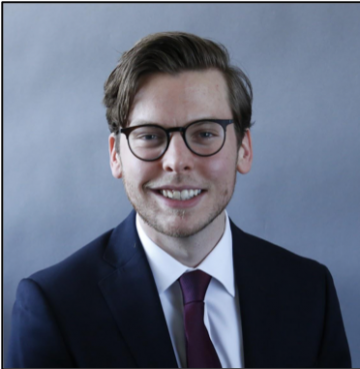 The competition challenged Forbes Under 30 scholars to find a technological solution to reduce food waste in the United States. As the only non-coding team, Alexandria reflects on the experience. 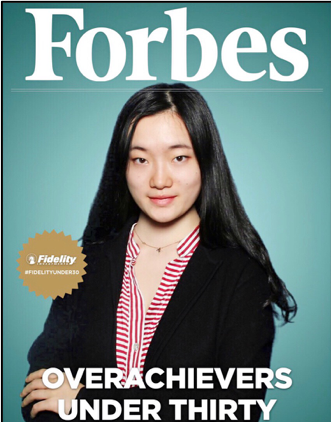 “It was a little intimidating competing with teams of top tech students from MIT, UMass, and Harvard, but our diverse field backgrounds ended up being our greatest advantage. We approached the challenge as a team of problem-solvers and creative thinkers. Food [waste] management is a complex world problem, so I immediately knew we needed to use a systems thinking framework that I learned from CIPA professors, Derek Cabrera and Laura Cabrera. By identifying the problem sources, scope, and feasibility, we were able to conceptually design a functional phone app that would connect individuals seeking food with a GPS map to the nearest food sources and composting stations in Nashville, TN.” Watch their full Hackathon pitch on YouTube. 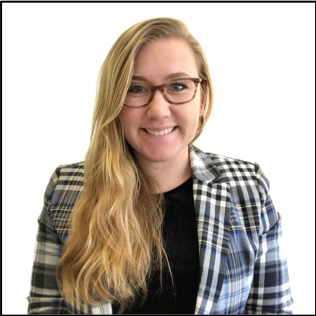 Molly Conlin a second-year CIPA fellow concentrating on Public and Nonprofit Management, was most inspired by the site visit to the Freight Farms hydroponic shipping container farm. “I was able to connect with innovative leaders in this rapidly developing field and engage with them on the potential for expanding access of this technology to food desert regions around the world,” says Molly, who volunteered in the environment and food security sector for Peace Corps: Togo. 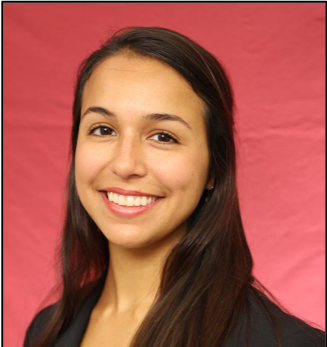 She researched the inclusivity of global agricultural policy at the UN: Food and Agricultural Organization (FAO) in Rome, Italy last semester and is currently a Research Assistant for the Tata-Cornell Institute for Agriculture and Nutrition (TCI). 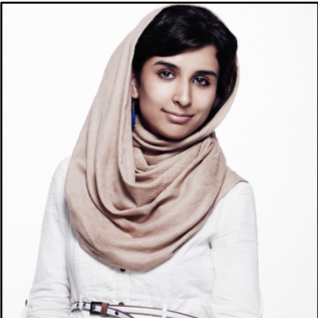 Elaha Mahboob is a CIPA second year fellow concentrating in Science, Technology, and Infrastructure Policy who has been selected as a featured 2018 Top 30 Under 30 recipient for her work as a social entrepreneur and cofounder of the New York-based Digital Citizen Fund with her sister, Roya. They help females in developing countries to access technology and connect with people and resources virtually, in a bid to develop the skills necessary to compete in a global market. She is also mentor to an all-girl robotics team from Afghanistan who competed in a robotics competition in Washington D.C. last year. “It was an amazing opportunity for me to meet like-minded and some really inspiring entrepreneurs who are on the path to doing some incredible work in this world!” Learn more on the Digital Citizen Fund website. 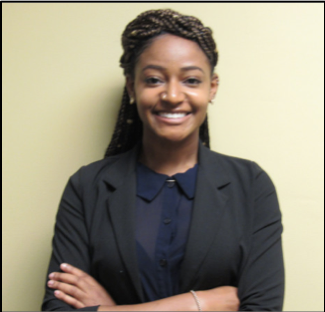 Alexandria Maloney, is a second year CIPA fellow concentrating in Government, Politics, and Policy Studies who hopes to bring systems thinking to diversity and inclusion frameworks in U.S. Federal Agencies with aspirations to one day become a U.S. Ambassador. “This summit was a life milestone. Networking and connecting with those who Forbes calls the ‘best and the brightest of our generation’ was unbelievable to me. There was a moment where I realized: ‘Whoa. That also includes me!’. The U30 village buzzed with energy from the creative and inspiring summit attendees I met ready to talk about their work and passions…” says Alexandria. 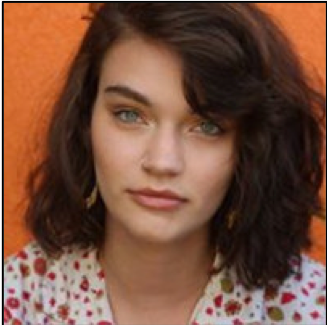 “I left feeling empowered by my peers who are doing amazing things in almost any field you can think of. Our generation brings something new to the table. Engaging at this summit with peers who are making real strides, leading the pack, and making meaningful progress in fields ranging from policy, entertainment, and tech to name a few, reinforced my decision to purse my MPA at Cornell.This summit was amazing and leading a team to the Hackathon semifinals was definitely the icing on the cake. 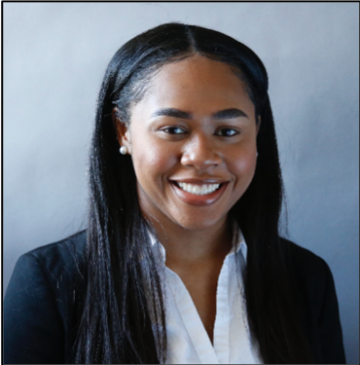 Thank you Forbes, JPMorgan Chase, and Taylor Cullivan for this opportunity!” Connect with Alexandria on LinkedIn. 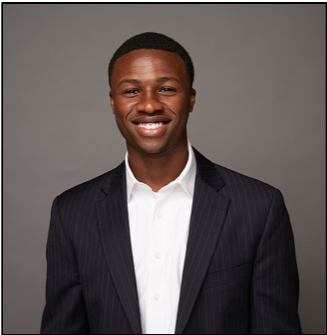 Joseph Abu is a 2nd year CIPA fellow concentrating in Science, Technology, and Infrastructure Policy. 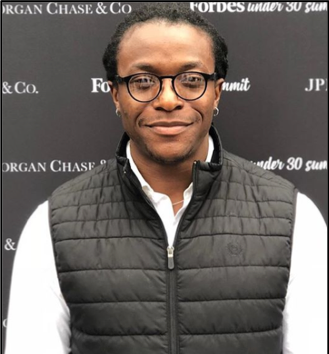 Joseph says, “this summit was a unique opportunity to network horizontally with some forward-thinking individuals and explore the wonderful city of Boston. I left this experience feeling reinvigorated to push past the limitations of my goals. 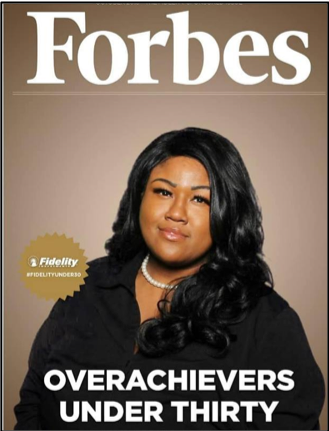 I am grateful to Forbes for hosting this event and the wonderful attendees who were willing to share their inspiring stories, experiences, and ideas. 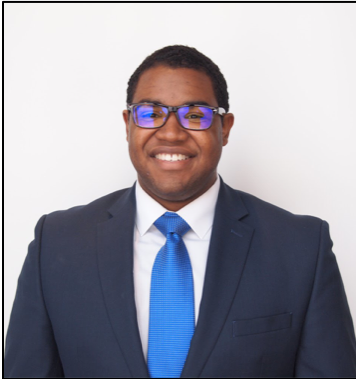 Cyril Heron is a third-year law student who is interested in legal protections to protect entrepreneurship in underserved communities. “The Forbes Summit was, in a word, inspirational. The summit not only provided the opportunity to network and connect with the next generation of professionals but also granted the perfect environment to speak with the eminent across various fields. It was the best chance for me to interact with people who work in the spaces that I have only researched from a theoretical vantage point and gain some real-world perspectives”. 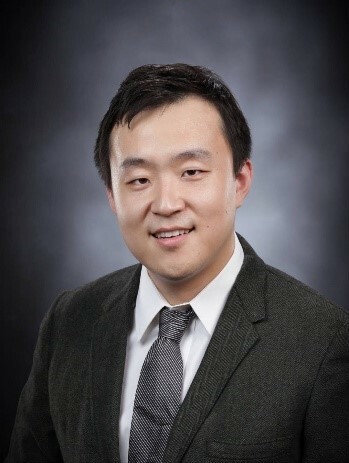 Xiangkun (Elvis) Cao is a mechanical engineer working in the Erickson Lab. His research at Cornell focuses on two lines: FeverPhone for fever diagnosis; and HI-Light for converting CO2to fuels. Key accomplishments at Cornell include: the $20K Grand Prize (1/1,150) in 2017 “Create the Future” Design contest by NASA Tech Briefs Magazine, the inaugural $20K “Scale-Up and Prototyping” Award by Cornell Engineering, plus two Best Poster Awards. Zhengda Lu is a mechanical engineer working in the Erickson Lab. He designed the TIDBIT system, which is a rapid diagnostic testing platform for iron and vitamin A deficiency. He published several research articles on PNAS, Sci. Rep., JMIR Human Factors, Biomed Opt Express. He is also the Co-Founder and Vice President of Chinese Entrepreneur Association at Cornell (CEAC). 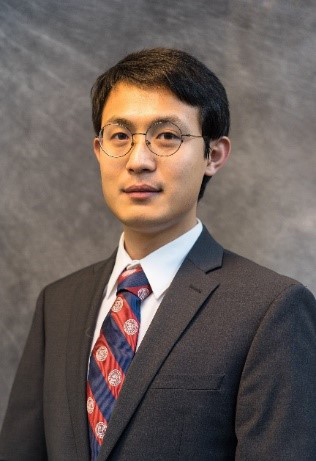 Xu Liu is a materials engineer working in Prof. Shepherd’s Organic Robotics Lab (ORL). 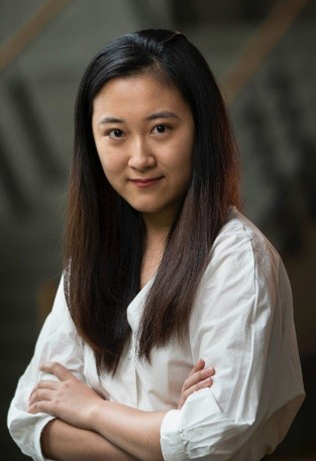 Her research at Cornell focuses on the flow battery design for applications in a soft jellyfish robot, in collaboration with the Archer Research Group in CBE. She has published two first-author articles on Int. J. Hydrog. Energy.